Visitors to the Parkhome.org website may download, copy or transmit any portion of this material for non-commercial personal purposes only. No part of this Web Site may be reproduced for commercial purposes without the express prior written permission of British Holiday & Home Parks Association Ltd (BH&HPA). 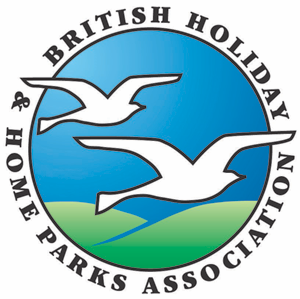 British Holiday & Home Parks Association Ltd (BH&HPA) is the proprietor of and beneficially entitled to use all Trade marks referred to in this Web Site except where specifically referred to. These trademarks may not be modified or used in any way other than as an integral part of an authorised download copy or transmission of these web pages. The information in these Web pages is provided “as is” and without any representation or warranty of any kind, either express or implied, including, but not limited to warranties as to merchantability, fitness for particular purpose or otherwise, or non infringement of third party rights. Whilst great care has been taken in production of the material to ensure it is accurate, British Holiday & Home Parks Association Ltd (BH&HPA) shall not accept any liability to any person for any losses to any person howsoever arising including, but not limited to, consequential losses. The information contained at this Web site was accurate at the date of publishing. However, the company reserves the right to introduce at any time modifications and changes of details as may be necessary. To avoid any misunderstanding, interested parties should contact British Holiday & Home Parks Association Ltd (BH&HPA) to confirm whether any material alterations have been made since the date of this Web site. Whilst every care is taken in compiling data for this web site, no responsibility is accepted by the British Holiday & Home Parks Association Ltd (BH&HPA) for any affect arising there from. Data for this web site is provided by BH&HPA member parks who are invited to update the data periodically. Advertisements are accepted on the strict understanding that the Advertiser warrants that his advertisement conforms with the Code of the Advertising Standards Authority. Whilst every care is taken in compiling data for this web site, no responsibility is accepted by the British Holiday & Home Parks Association Ltd (BH&HPA) for any affect arising therefrom. Data for this web site is provided by BH&HPA member parks who are invited to update the data periodically.